Arbiter of Cultural Traditions is a 401c3 non-profit arts organization founded in 2002 as a means to continue the work of the former Arbiter Recording Company by saving performances of musicians whose work embodies our classical music at its height. Our efforts are critical as the aging survivors of past traditions are not long for this world and decaying media threatens to lose its sounds: our cultural heritage often hangs by a thread. 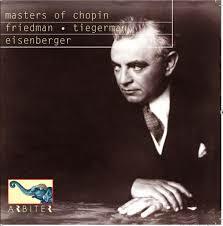 Western classical musicians we have saved such as as Roman Totenberg, Mieczyslaw Horszowski and Ignace Tiegerman played at the highest musical level of their time, of any time. We spare no effort to locate such music-making wherever it survives. 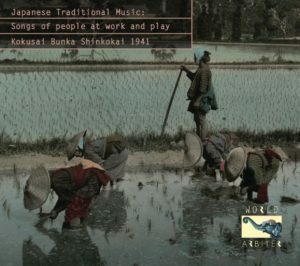 World Arbiter seeks authentic traditional music from cultures beyond Western European classical music. The late Teresa Sterne who created Nonesuch’s legendary Explorer series was our guiding light in the beginning. 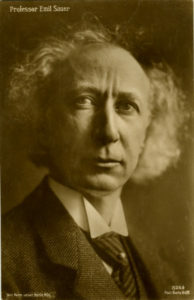 Sterne personally intervened to sharpen and define our methodology. Our vital examples document traditions with scholarly texts to serve as a musical guide and reference work. Multimedia CD projects go beyond music with extensive PDF and video files when placed in a computer. Arbiter recently received a grant from the Mellon Foundation to restore and publish the entire known surviving recordings of Balinese music made in 1928. The resulting publication effected a repatriation of performances that had remained inaccessible since their release and subsequent destruction. Just gave a class to Mannes grad students on Chopin. So much attention focuses on his Parisian existence that his Slavic origins are slighted. Half-French/Half-Polish they say? Which half is Slavic? How do you cut him: vertically or horizontally? Let’s bypass Solomonic butchery to say that he possessed 200%, enriched by both! 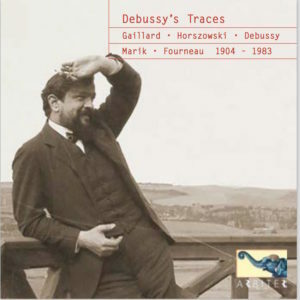 Chopin composed Mazurkas throughout his life, a workshop for ideas and connecting with a lost homeland yet most judge them as exotic seasoning sprinkled onto formal salon Waltzes. Do you think that notation shows everything? Mazurkas only appear on paper as waltzes yet bear disruptive chromatic notes. And what does a village ensemble from the mountains outside Sofia have to do with Chopin? The Balkans and Central-Eastern Europe were pervaded with folk music that identified itself through distinct melodies and rhythms. 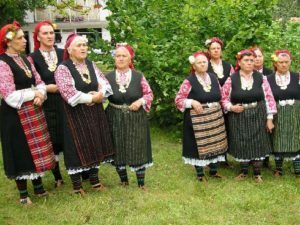 The Bistritsa Grannies sing antiphonally, replete with stark intervals that came from origins way further East, possibly the Proto-Bulgars from Central Asia. they received us after a day’s farming to offer singing and supper. Changing out of their blue work smocks they regrouped in traditional attire. Afterwards we scooped up local sirine (feta cheese) with bread dipped into chubritsa, a Bulgarian spice blend redolent of fenugreek with other subtle herbs. An LP recorded for Balkanton contains this work and when I met up with them three years later when their dictatorship had been quashed, asked what the meter was in their song Oreovka voda grebe : “Two”. So with these rhythms and phrasings circulating in your system, how could Chopin have played his own ‘colorful’ works? 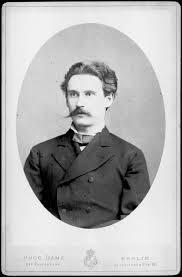 The earliest pianist who offers a clue is Vladimir de Pachmann (1848 Odessa – 1933 Rome). A Victor Borge of his time, Pachmann amused audiences through chaotic inappropriate behavior and speaking while playing, probably done to settle his nerves and placate a public that wanted more than music alone, a format then unknown. Critics downgraded him as someone pathetically superficial for having spoken on some of his recordings that had unedited sloppy details whereas the early butchered restorations of his playing (recordings from 1907-1928) were dim and masked any and all of his colorful nuances. As technology improved, a remarkably chaste art emerged, thanks to a discovery I made by finding a path to access the hot-spot in groove walls, where the sound fully opens up, one surpass routine sardine-can transfers that obliterate hear color and touch. 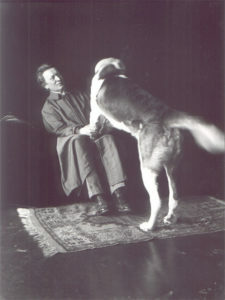 On interviewing Aldo Mantia in 1981, a Roman Pachmann pupil, Mantia mentioned that his mother, a singer who knew Liszt, recalled with singer Luisa Tetrazzini how the young Pachmann had lived in Firenze for six months to study with Vera Kologrivoff Rubio, Chopin’s last assistant, an important detail vigorously denounced in a recent puerile biography of the artist. No waltzing at all and if accurately transcribed, the writing would be unreadable. Chopin published these pieces early on up until his end. His F-sharp minor Mazurka, op. 59, No. 3 is a hotbed of experimentation. Starting with a straight-forward dance, it returns with a secondary voice under the main theme and then switches into major. What impresses as hackneyed confused playing is a literal representation of something unique in Chopin’s notation: rhythmic displacement of the hands by a mere sixteen note that syncopates them into a duel of phrasing and accents. Pachmann knowingly displays this radical stratagem within the guise of propriety. To dissipate its rhythmic angst, Chopin aligns hands into a pattern that furiously repeats and changes from three beat segments into twos in order to eradicate the previous tension. What next? Canonic imitation, a return, and a finale in a contrasting dance rhythm. 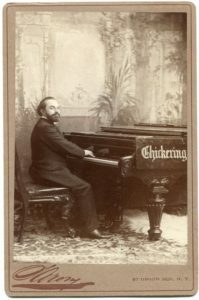 Going further through Chopin’s backdoor we encounter a master who danced with villagers when his father took the boy along for gigs in remote towns. These experiences, along with a life-long penchant for Mannerism (in art and sound) leads us to Ignaz Friedman (1882 Podgorze/Krakow – 1948 Sydney). The rhythms are far more extreme and we note the strong presence of folk elements into the otherwise hermetic classical music that sought to keep out such roughage, still unacceptable in today’s puritanical climate in which budding pianists cannot compete by playing with individuality or stray from the moribund status quo’s dictates. met Brahms, they shared their origins as Hamburgers. Inspired by his teachers Nikolai Rubinstein and Liszt, Sauer also composed and brings out the inner life dwelling in the otherwise mechanically played Chopin Etude, Op. 25, No.12 in C minor, recorded when the pianist was 78 years old. playing a Liszt Hungarian Rhapsody (No. 13) with full awareness of the Gypsy phrasing in its final section, recorded on a Beckstein in 1922, London. We’ll get to his way of deconstructing Chopin next time.